Before you upgrade a production system we recommend performing the update on a test system and to check it with appropriate plausibility tests. You require root rights to install and to start Jedox Web on Linux. Note: the update installation could overwrite manually changed configuration files. Therefore you should have a backup from which it is possible to restore manually changed files. Use the existing ps directory as the installation directory. Follow the instructions. Setup will prompt you for several existing data directories (OLAP, Jedox Web, and ETL Server), asking you whether you want to keep existing data or replace it with new data. If you choose to replace it, your existing data will be lost for the respective directory. For Supervision Server, a folder with sample scripts (called “sample_scripts”) will be created. If you had used a custom script, you need to re-add it after setup has finished. As described above, most data is kept in place when running an update installation. Note: after updating, delay loading may take longer than usual due to potential database conversion at first start. Jedox processes should not be stopped or shutdown until delay loading has finished. Note: Setup either modifies existing configuration files upon update (such as palo.ini), or replaces existing ones with new ones. The replace operations are necessary because of larger changes in the configuration. If you had modified configuration files in your previous installation, we recommend that you apply your changes to the new files rather than copy files from the previous version’s backup. 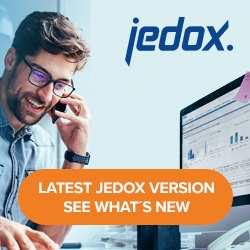 *Jedox supports versions 2018.3, 2018.2, 2018.1, 7.1, or 7.0 (SR2). See Support Lifecycle for more information.